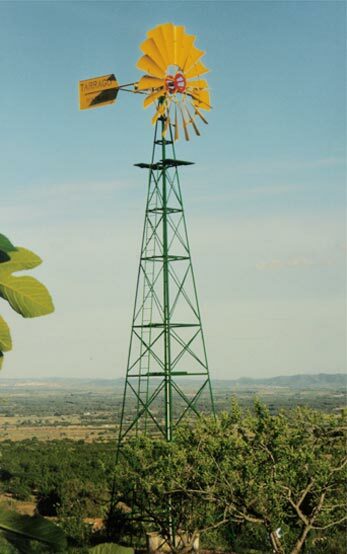 Windmill with a wind-wheel of 3 meters of diameter. The height of the tower is of 9 meters and has a rectangular platform of 1 m2 and stairs. The basis of the tower is square of 1.90 meters per side. In big premises with high water needs, it is better to make a multi-installation. 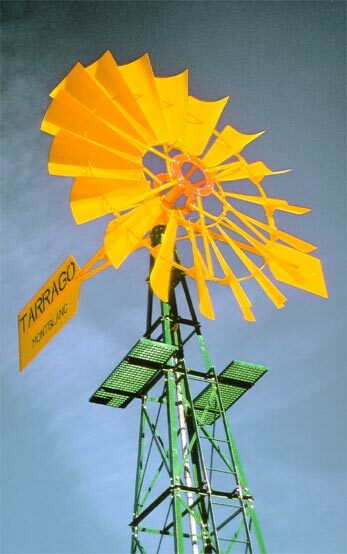 With a windspeed of 12 m/sec, generates a power of 2,250 watts. B-8515 36 3500 1500 2"
B-100/22 24 5000 2100 2"